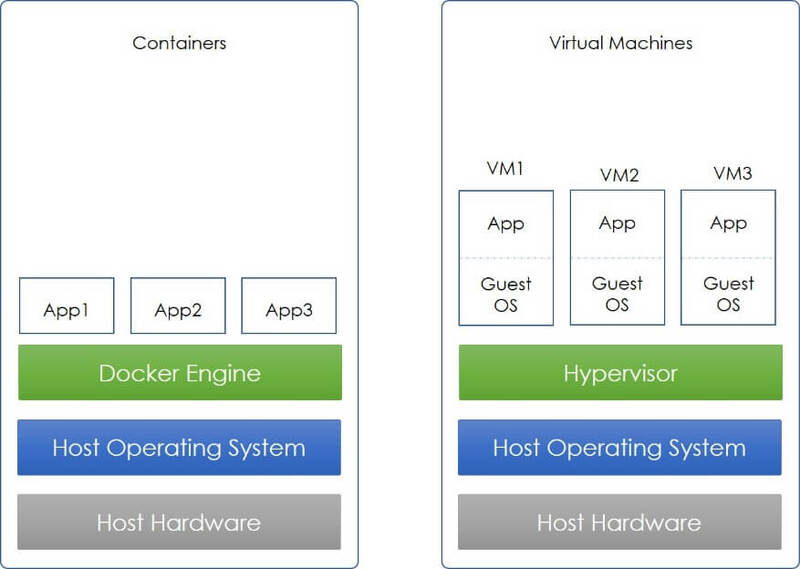 SrinSoft has great expertise in Docker Cloud Container Architecture. SrinSoft can help in Docker Containers combined with Microservices architecture and host the application with common available network, memory and storage. Containers are image files of an application which is static and executable. Docker Container packages includes application dependency files, environment variables and libraries built as a single package as application which ensures all the dependencies are included and doesn’t require a reconfiguration of stack. These application packages can be hosted in any hardware stack with minimal configuration and it doesn’t consume most of the physical resources. Containers are playing a vital role in communication between software developer and operations team. Developers can focus on program development without the concern hosting platform. Also, Containers are often configured with microservices and the cloud which facilitates the monolithic architecture-based application can be hosted on-premise or on cloud. Virtual machines are facilitated with independent operating system and consumes specified memory in hosted hardware with individual network configuration, memory and storage for every application installed. Whereas, We provide Docker combined with Microservices architecture and host the application with common available network, memory and storage.